Get into the Florida Keys and discover... ! Florida Bay from Flamingo, ENP. Water, wind, coral and mangrove conspire here constructing the thinnest imaginable layer of earth peeking up above the shallow tropical sea. Held together by the inexorable forces of life clinging to bare rock, marl and fossil reefs the Florida Keys are a geological testimony to the relentless ability of life to fashion land out of the sun, the elements, and the sea. Florida's southernmost island chain is called the Keys and the northern extremities visibly reveal the 10,000 year old coral reef that comprise these pearls stretched out in the sun soaked sea. The Florida keys are actually part of a larger ecosystem stretching from the Florida Straights to the Everglades and Lake Okeechobee. In a strict geological sense the keys -- as remnants of a 10,000 year old coral reef -- are today a series of barrier islands enclosing Florida bay on the east and south sides and separating the estuary from the Atlantic Ocean. Because of their proximity to water the Keys' mild climate allows the colonization of the land by tropical vegetation that is otherwise restricted to the Caribbean shores and the Antilles. The chain of islands comprising the keys stretches for 180 miles south southwest of Miami and beyond Key West to the Marquesas and Dry Tortugas island groups. Among the most endangered ecosystems in Florida, three exist in the Keys. These are the coral reefs off shore, the sea grass beds near shore, and the tropical hardwood hammock and pine forests where the endangered key deer hang on to a precarious existence. The Keys are a sunken treasure -- ecologically speaking -- because the reefs and the grass flats sustain a rich shrimp, rock lobster and sport fishery worth billions of dollars annually in tourism and seafood processing. Tied to the Everglades on the north and the Gulf stream to the south and east, the keys are our last, best test. If conservation can not protect the wildlife and fisheries of the Florida keys, than conservation education has failed to motivate us sufficiently to comprehend that wealth comes from nature. The keys are a refuge for the itinerant and the mogul alike. The keys are a refuge for the itinerant and the mogul alike because climate and weather conspire to sustain regular temperatures above freezing. So much heatis retained in the surrounding waters that beach bathing seems more like a bathtub than an ocean. In extreme summers the coral reefs experience bleaching or the loss of their life sustaining algae because the ocean temperatures rise to high for health reefs to persist. Harboring fiercely independent fisher folk and resolute environmentalists these islands represent our last outpost, a sort of high noon for property rights amidst the "Tragedy of the Commons." The boundaries in these keys between my land and your land is not always easy to delineate. The sea blurs the tideland boundaries and the loss of wildlife and fisheries blur the fine distinctions between personal responsibility and community needs. Parts of the keys are as urban as Provincetown, on Cape Cod, while other keys are as remote as the Galapagos. Islands in time, the keys are a lasting reminder of what Zora Neale Hurston said of all Florida. Florida and especially the keys are "the gift of the sea to the sun." They are mangrove islets carved out of lime rock and marl by the roar of hurricanes and the endlessly lapping tides. Mangroves are actually a collection of four unrelated, yet salt tolerant trees common in the tropics. 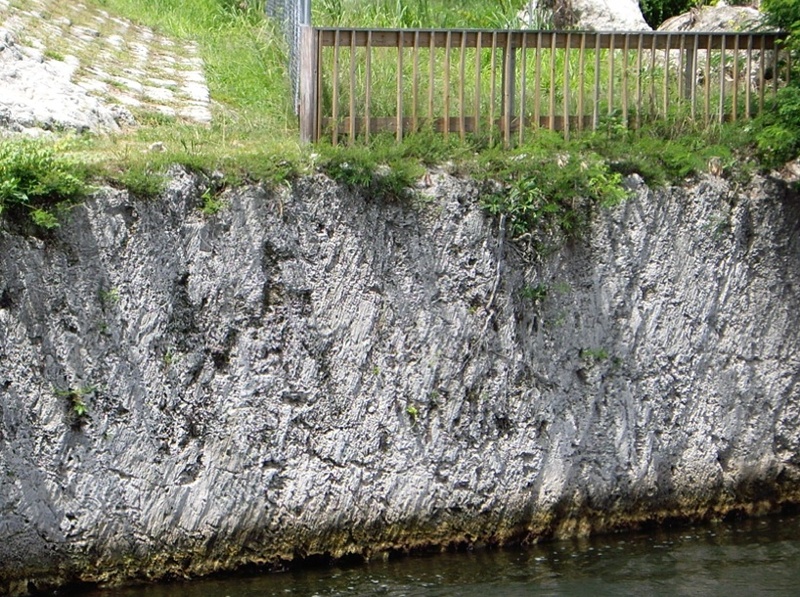 They thrive in the Florida Keys due to temperature, water quality and substrate. These oceanside forests are one of four biologically productive sources of natural wealth in the keys. The other sources of biological wealth are the sea grass beds, the coral reefs and the hardwood tropical forests. The pressure of population growth, pollution and technology are endangering the wildlife and fisheries of the keys. Yet these remnants of what Rachel Carson called the Coral Coast are warning lights along our headlong rush into the future. As Rachel Carson reminded people nearly forty years ago we need some places to remind us that our "way is not always best! " Many authorities believe the word "key" to be a British corruption of the Spanish word Cayo referring to something less substantial in area than an island, or islas. First called the islas de los muertos, on early Spanish charts because of the shoals and sunken reefs that claimed gold laden ships of the annual Spanish treasure fleets from Veracruz to Seville, in Castile.